Matte hardwood floors are a popular style right now for a variety of reasons. While glossy finishes were widespread in the 90s, many homeowners are now choosing matte hardwood floors because of their versality and timeless appearance. For instance, if you live in your home for many years, you will likely want to change your home décor at some point. 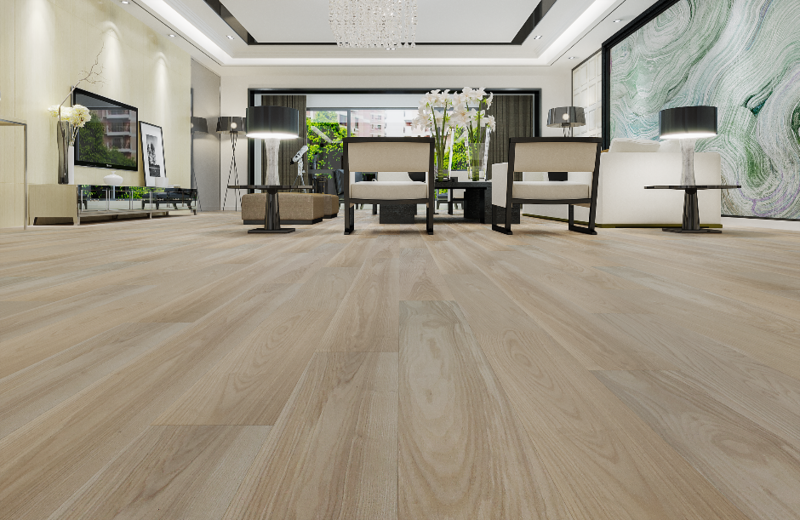 Engineered wood flooring with a matte finish will complement virtually every décor style, from minimalistic, to elegant, to rustic. 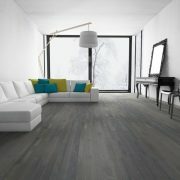 What’s more, a matte finish can showcase the hardwood’s beautiful texture, which adds a unique design element to your space. This makes it ideal for homeowners who want a beautiful, natural look. Entranceways, kitchens, and living rooms are the highest traffic areas in a home, and it’s common for these rooms to suffer from a lot wear and tear. 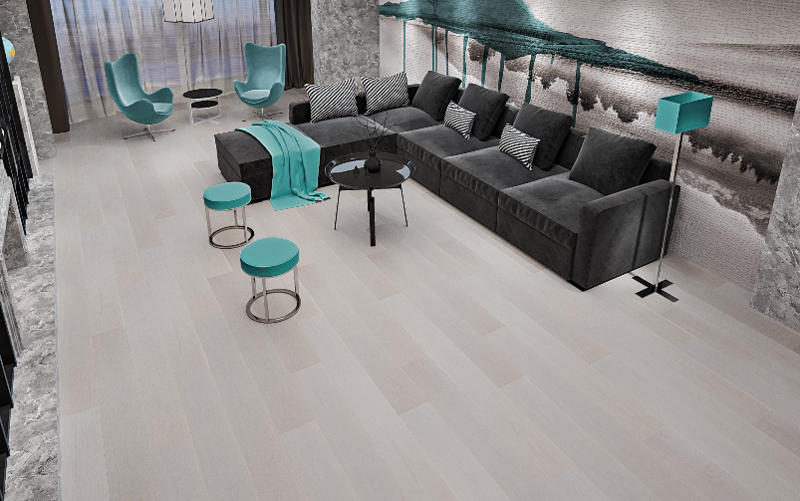 While both matte and glossy finishes are durable, matte hardwood floors are perfect for high-traffic areas due to their ability to conceal scratches. 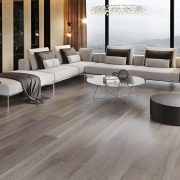 Glossy finishes show scratches more easily, due to the contrast between the high-shine floor and duller scratched area. 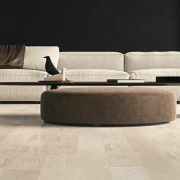 For this reason, matte hardwood flooring is the best choice for busy spaces where shoes might scuff the floor, or homes with cats and dogs whose claws might scratch the floor. Both glossy and matte finishes are easy to maintain and keep clean (refer to our maintenance and care guide). However, the reflective nature of glossy hardwood allows specks of dust, lint, and dirt to be more visible, meaning you’ll have to sweep and mop more frequently. For low-maintenance flooring that’s easy to clean and helps conceal specks of dust and lint, a matte hardwood floor is ideal. 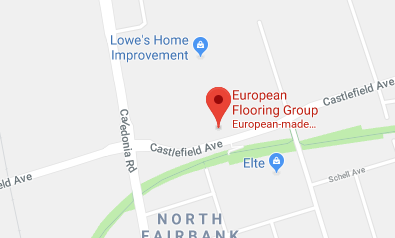 If you’re looking for a modern hardwood floor in a beautiful matte finish that will complement your décor and busy lifestyle, visit European Flooring. 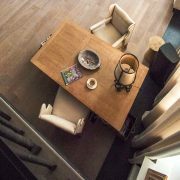 We offer a wide range of engineered wood flooring products in a variety of wood species, lengths, widths, and colours. We welcome you to visit our designer showroom in Toronto, or contact us to book an appointment. Solid Hardwood Vs. 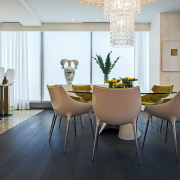 Engineered Hardwood: Which One is Right for You? Hardwood Flooring: Is It Right For Your Bedroom? Is Wide Plank Flooring Right For Your Space? Why Choose Engineered Hardwood Flooring?